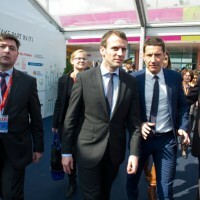 At MIPIM 2016, Emmanuel Macron, Minister of Economy, Industry and Digital, inaugurated and presented on March 15 the Hubs du Grand Paris. 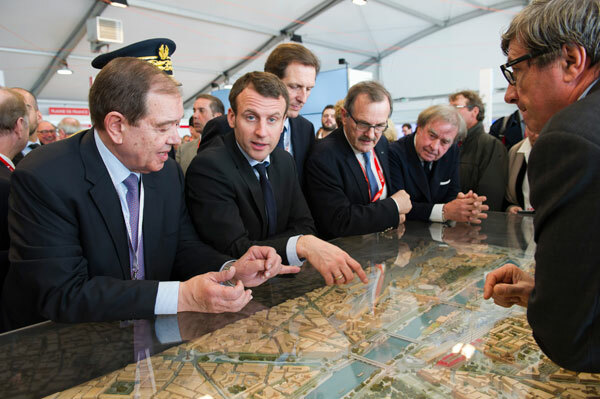 The Hubs du Grand Paris (Hubs of Greater Paris), the modern stations of the Express train in the Francilien territory, were presented at the inauguration of the 27th edition of MIPIM in Cannes by the Minister of Economy Emmanuel Macron. 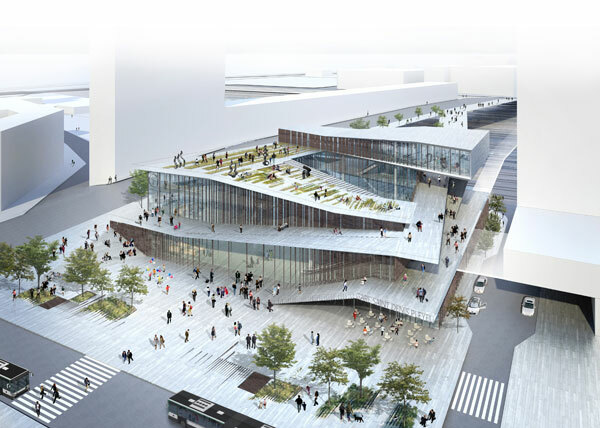 The international call for projects for the development of the districts of the Grand Paris Express stations is placing innovation at the heart of this unifying project that will make the Greater Paris municipalities radiate far beyond the borders of the capital. 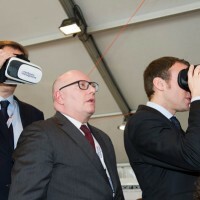 Pour honor this ministerial visit, La Croisette had covered herself in her most beautiful adornments: the Azuréen blue, the sun flooding the square of the Espace Riviera, everything was there to welcome with pomp the Minister Emmanuel Macron. 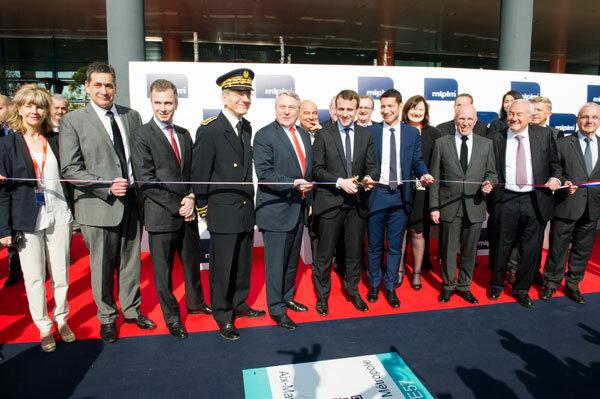 At the official ribbon cutting, he was accompanied by Eric Ciotti, President of the Departement, David Lisnard, Mayor of Cannes, Paul Zilk, CEO of Reed MIDEM and Bernard Brochant, MP and President of the Community of Pays de Lérins. He then visited the Pavilion Grand Paris and, after extensive discussions with Patrick Ollier, President of the Grand Paris and various officials from the 16 booths of the Parisian pavilion, he visited the the London Pavilion stands and then that of Turkey, where a fabulous light show was performed to present the Turkish real estate projects on a huge wooden model. 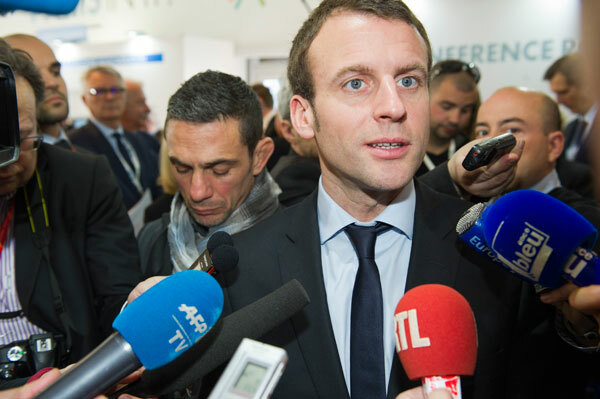 After that express inauguration, Emmanuel Macron gave a press conference at the Pavilion Grand Paris to present to delegates and the many journalists what the future Hubs du Grand Paris were to be. 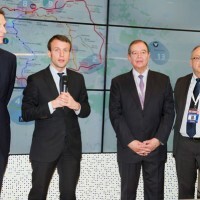 He commented on the outline of the future project which will start in autumn by an international competition that will appeal to French and international talents to achieve an innovative, sustainable and unifying project. 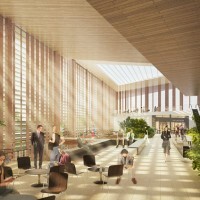 Each site will then be subject to consultation with a panel composed of local actors, communities and the concerned promotors, the Marie de Paris and the Ile-de-France region. All will be in charge of selecting the winner with the support of a scientific committee which will evaluate the proposed innovations. 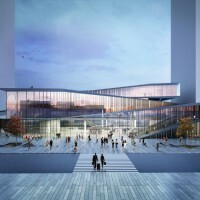 The contest will be led by Jean-François Carenco, Prefect of the Ile-de-France and Philippe Yvin, CEO of the Société du Grand Paris, with the support of Grand Paris Aménagement. The government will financially contribute to the project through the Programme d’Investissements d’Avenir and the Métropole du Grand Paris. The 14 projects dedicated to welcome international hubs will be submitted to a jury that will combine the local authorities players, the involved developers but also the Marie de Paris and the Région Ile-de-France to select the best candidates. 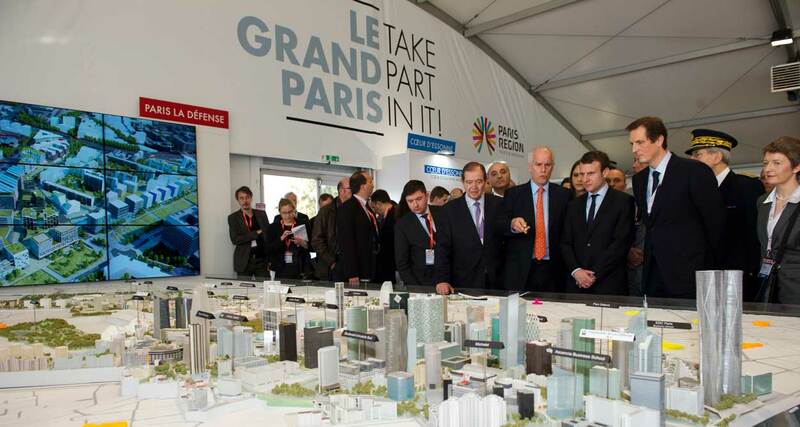 The Hubs du Grand Paris will always be implemented in stations with international visibility and proximity to an airport, a major business district or a large research center on innovative areas of the metropolis, including disctricts of future stations, inserted into the existing city or integrated into operations with smaller metropolitan potential (such as real estate projects). The Hubs of the Grand Paris Express will be a vital link with the new territories of outer suburbs, annexed to the capital and now forming the Grand Paris. The stations of these new towns are now frequented by two million passengers traveling each day on routes connecting their homes to their places of work. 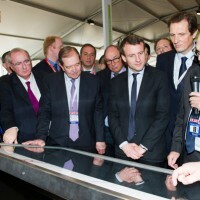 The new Hubs will open new land potential for development operations and meet the expectations and needs of the Franciliens. They will also be future showcases of French know-how and enhance the attractiveness and competitiveness of the country.